Danny vs. the internet: How do the world's racecars compare? After the 81st running of Le Mans last weekend, I though this would be a good time to post this infographic I saw on Jalopnik a few weeks ago. 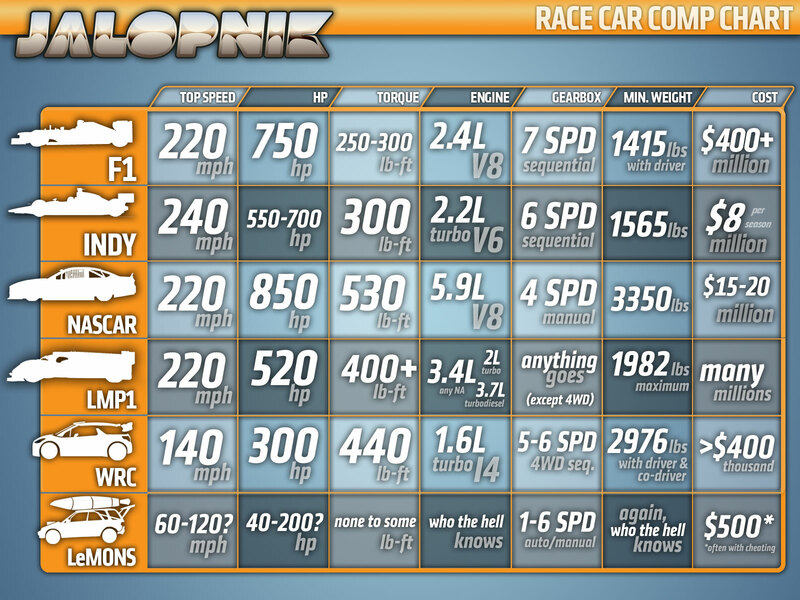 I'd like to see some GT-class car stats in there. I know that they'd be just above WRC's with regard to power, but definitely a grey area where it stands with the other cars stat-wise.